At Countryside Animal Clinic, we concentrate on preventative medicine. On your first visit, we will ask you questions about your pet's environment in order to tailor a vaccination protocol just for your pet. This will take a little time, but it is very important to make sure that we provide the care that your pet needs. Drop-off services are available for your convenience. We will see pets for drop-off appointments for most medical needs. This service allows you to drop off your animal first thing in the morning and pick him/her up later in the afternoon, or after necessary procedures are completed. We ask that you call ahead and have your pet at our office by 10:00am for drop-off services. A staff member will discuss your concerns for your pet, and Dr. Lortie will call you to discuss her findings as soon as she has examined your pet. House call appointments for pets are also available. Please call for availability and more details. We are very committed in helping to control pet overpopulation. We make our spay and neuter prices as affordable as possible. 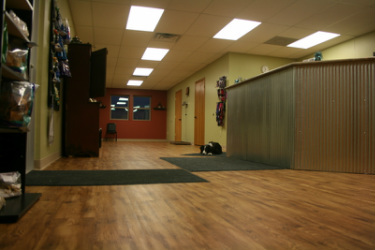 We also offer a pre-surgical exam and consultation to evaluate your pet if you so desire at no additional charge. Countryside Animal Clinic provides 24-hour emergency services for pets of existing clients. Emergencies for non-client pets will be taken only on a case by case basis. We make every attempt to be available for every emergency that our clients have. In case of an emergency, call the clinic number (260) 635-1700 and either your call will be forwarded to Dr. Lortie or you will be given a number at which to reach her. Rarely, there are occasions that Dr. Lortie is attending another emergency and is not immediately available. If for some reason you cannot reach Dr. Lortie, please call the Ft. Wayne Emergency and Specialty Hospital at (260) 255-3074. In addition to pets, Dr. Lortie also provides care for large animals including cattle, swine, sheep, goats, and alpacas. We only provide emergency service for large animals for existing clients. However, we do not provide care for horses.